Set in a remote stretch of Australia “ten years after the collapse” (as an opening title informs us), the stark sci-fi-tinged thriller, The Rover, introduces a world of arid reduction, where civilisation is hanging by a thread. The closest thing to the law are the army patrols that move from town to town, and the outback populace has responded in kind, namely with violence and debauchery. When the stony, enigmatic Eric (Guy Pearce) has his car stolen by a crew of criminals, he teams with the slow-witted but sweet dupe that they left behind (Robert Pattinson) to get it back. Though the mention of cars, criminal gangs, and an Australian postapocalypse whip up instant memories of Mad Max, The Rover is no punked up, dystopic vision. This is an urgent, horribly familiar world with a smashed-to-bits moral compass. Thrilling, tightly characterised, and punctuated with neck-snapping jolts of violence, The Rover is a powerful meditation on the fragile nature of society itself. Thanks to Liz Watts for the heads up. 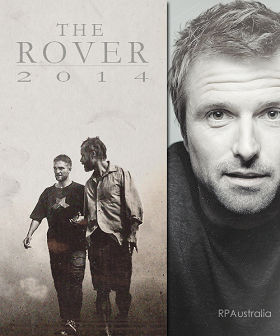 Posted in Sites / Blogs, The RoverTagged #TheRover, David Michôd, Guy Pearce, Robert PattinsonBookmark the permalink.